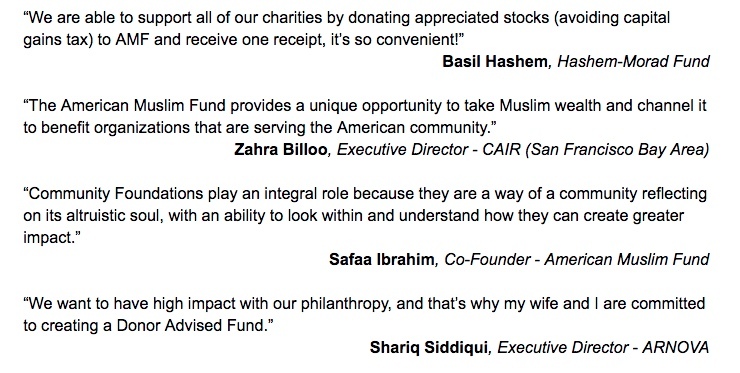 ​We’re a 501c3 nonprofit organization (EIN: 81-2936073) dedicated to Muslim philanthropy. ​ We declare that all donors have these rights. © 2019 American Muslim Fund.